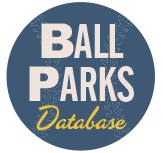 The 1994 Montreal Expos will go down in history as one of the ultimate “What If?” teams after jumping out to a 74-40 record through their first 114 games, a .649 winning percentage, 105-win pace and a possible date with destiny before a work stoppage kept them from finishing what they started. Thanks to the virtual Expos, the city of Montreal can feel a little comfort knowing that “Les Expos” are the class of the Seamheads Strat-O-Matic 50th Anniversary League after they dismantled the mighty American League champion 1931 Philadelphia Athletics in four games, winning the World Series on Canadian soil no less. 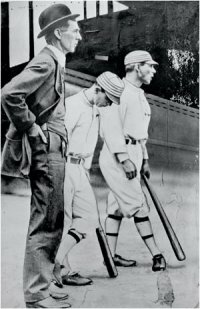 Game One—Montreal at Philadelphia: Rumors were swirling throughout “The City of Brotherly Love” that staff ace Lefty Grove was not only about to be awarded the Cy Young Award but was considered the favorite to be named MVP as well. Grove went 24-6 with a 2.67 ERA and 246 strikeouts and tossed in four saves to boot while leading the A’s to a division title and pennant. His Game One mound opponent, Butch Henry, went only 8-8 with a respectable 3.21 ERA during the regular season, so A’s fans can be forgiven if they expected to go up 1-0 in the Series. But it was Henry and the Expos who fired the first salvo, pounding Philadelphia, 10-5, in a game that the A’s had well in hand until the final two innings. The A’s struck first in the bottom of the first on a walk, a single and a double play grounder that plated Max “Camera Eye” Bishop with the first tally of the Series. Mule Haas made the score 2-0 with a solo homer in the bottom of the second, but the Expos tied the game in the top of the third on a Marquis Grissom two-run shot that followed a Randy Milligan single. The A’s claimed the lead again in the fifth on consecutive lead-off singles by Jimmy Dykes and Bing Miller and a Dib Williams groundout, then extended it with solo tallies in the sixth and seventh courtesy of a Jeff Shaw wild pitch with Mickey Cochrane on third in the sixth, and a Sean Berry error, Eric McNair double and Bishop single in the seventh. With a 5-2 lead going into the eighth and his ace on the hill, Philadelphia manager Connie Mack had little to worry about. Or so he thought. Berry atoned for his miscue in the top of the eighth when he belted a Grove offering into the seats for a two-run smash that cut the lead to one. Larry Walker and Moises Alou followed with singles, ending Groves’ day, and reliever Eddie Rommel hung a knuckler to Lenny Webster, who deposited it over the wall for a three-run homer, giving the Expos their first lead. Philadelphia completely fell apart in the top of the ninth when Grissom singled, Wil Cordero reached on a Rommel error, Berry and Alou singled, Foxx made an error and Webster hit a sacrifice fly to cap off the scoring. Expos reliever Mel Rojas set down Miller, Williams and McNair in order in the bottom of the inning to preserve the victory. Kirk Reuter earned the win after only 2/3 of an inning of work, Rojas was credited with a save and Grove took the loss. Cordero led the Expos with three hits and Webster drove in four runs; Bishop reached base three times for the A’s and scored and drove in a run. Game Two—Montreal at Philadelphia: Down one game to none, Mack went to his second ace, George Earnshaw, who went 23-10 with a 3.17 ERA during the regular season. 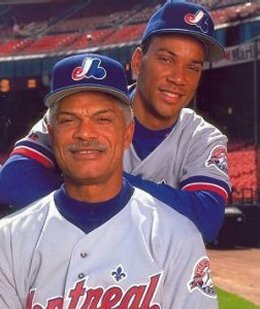 Expos pilot Felipe Alou countered with southpaw and 13-game winner, Jeff Fassero, who finished second on the team in ERA at 3.46 and strikeouts with 172. For the second game in a row it was the lefty moundsman who dominated, but this time said port-sider came out on top. Earnshaw and Fassero traded goose eggs for three innings before the Expos broke the ice with a run in the top of the fourth on a Wil Cordero lead-off homer. They tacked on two more in the fifth on a Jay Bell triple, an RBI single by Marquis Grissom and a solo homer by Moises Alou. While Montreal was tagging Earnshaw, the A’s hitters were barely getting a whiff of Fassero’s offerings as he brilliantly mixed his fastball, forkball, slider and change of pace to keep Mack’s sluggers off balance. Through six innings, the only Philadelphia swatsmith to reach base was catcher “Black Mike” Cochrane, who walked in the second. Fassero fanned the side to start the game and seven of Philadelphia’s first 18 outs came by way of punch out. The Expos added another run in the top of the seventh to go up, 4-0, on a walk to Rondell White and an Alou triple. 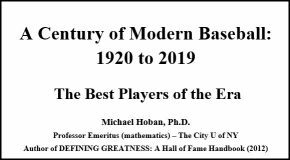 But Mule Haas, who had struck out twice in his first two trips to the plate, punched a single through the infield in the bottom of the seventh for the A’s first hit, and Fassero’s no-hitter went by the wayside. Just to make sure there was no doubt about the hit count, Al Simmons slapped a basehit of his own to put runners on first and second with nobody out. 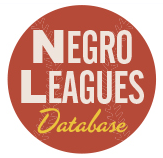 Fassero struck out the dangerous Jimmie Foxx but walked Cochrane to load the bases, and surrendered a run-scoring sac fly to Jimmy Dykes and a single to Bing Miller before coming out of the contest in favor of Mel Rojas. Rojas coaxed Dib Williams to foul out to end the threat. Montreal tallied for the last time in the top of the eighth on hits by Darrin Fletcher, Cliff Floyd and Bell, but the A’s made things interesting when Eric McNair belted a solo homer in the bottom of the eighth off Rojas, then scored again off closer John Wetteland in the bottom of the ninth before the bullpen ace quelled the threat by getting McNair to line out with two on and two outs. Fassero earned the win, Rojas a hold and Wetteland a save, while Earnshaw was saddled with the loss. Alou went 3-for-4 with a homer, triple and two runs batted in; Cochrane was the only A’s hitter to reach base more than once and both came via the free pass. Game Three—Philadelphia at Montreal: The first Fall Classic tilt in the history of Montreal went from being a rout to a near comeback before the hometown team held on to take a commanding 3-0 Series lead. 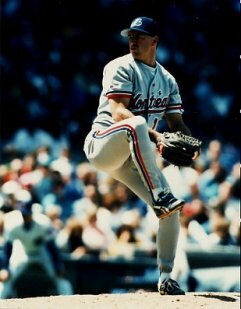 The Expos had slight righthander Pedro Martinez on the hill while Mack tabbed Roy “Popeye” Mahaffey as his Game Three starter. Martinez went 11-10 during the regular season, posted a 4.13 ERA and fanned almost a batter an inning. Mahaffey went 12-9 with a 3.67 ERA but walked as many batters as he fanned (87 of each). Game Three went much like Game Two in that both teams were scoreless through three before someone got on the board, and it was Montreal who broke through first again. Mahaffey proved to be his own worst enemy when he walked Marquis Grissom and Moises Alou to lead off the bottom of the fourth. It looked like he might escape the jam when he retired Larry Walker and Wil Cordero on a strikeout and a lineout, but Darrin Fletcher gave the crowd something to cheer about when he took Mahaffey deep for a three-run homer to give the Expos a 3-0 lead. They almost added to their total when Sean Berry followed with a three-bagger and Jay Bell walked, but Martinez grounded out to end the inning. Pedro kept the A’s off the board for seven innings and his teammates responded with four insurance runs in the bottom of the seventh thanks to a Rondell White double, a walk to Grissom, a three-run bomb off the bat of Alou, a Cordero single and a Fletcher double. Boasting a 7-0 lead and a pitcher who’d allowed only three hits through seven, Felipe Alou decided to stick with his starter, but Martinez didn’t last much longer. A lead-off triple by Jimmy Dykes followed by a Dib Williams double signaled the end of Martinez’s day. Mel Rojas entered the ball game and threw gasoline on the fire, allowing a hit to pinch hitter Eric McNair and a two-run homer to Max Bishop that cut the lead to only three at 7-4. 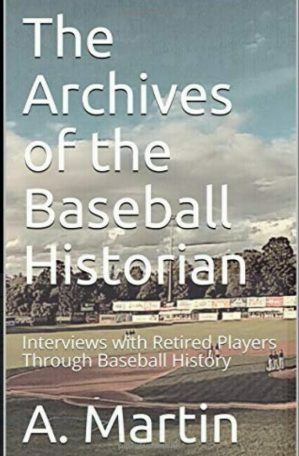 But he retired Mule Haas, Al Simmons and Mickey Cochrane on groundouts, then handed the ball to John Wetteland, who struck out Jimmie Foxx, Bing Miller and Dykes to end the contest. Martinez earned the victory, Wetteland copped his second save and Mahaffey was tagged with the loss. Fletcher and Alou accounted for all seven RBIs; Dykes led the A’s in hits with two and Bishop drove in half of the team’s runs. Game Four—Philadelphia at Montreal: Down three games to none, Connie Mack had no choice but to tab Lefty Grove as his Game Four starter, skipping over veteran southpaw Rube Walberg, who might have started absent the large deficit. Felipe Alou had no such worries; in fact, he had the luxury of waiting until the fourth game to start staff ace Ken Hill, a 14-game winner who led the team in innings pitched during the regular season. Unlike the first three tilts, Game Four was a seesaw affair that went down to the wire before a victor was crowned. This time the A’s fired the first shot, plating a run in the top of the first on an Al Simmons sacrifice fly that scored Max Bishop, who had doubled and moved to third on a groundout. Mickey Cochrane followed with a triple but Jimmie Foxx lined out to end the threat. Montreal went down in the first but struck for two runs in the bottom of the second on run-scoring doubles by Lenny Webster and second baseman Mike Lansing, then punched another across in the third on consecutive singles by Sean Berry, Larry Walker and Alou and a Webster sac fly. The A’s knotted the score at three in the top of the fifth courtesy of base hits by Jimmy Dykes and Dib Williams, a sacrifice bunt by Grove and a two-out, two-run single by Mule Haas. Undeterred, the Expos broke the tie in the sixth when Marquis Grissom smashed a solo home run off Grove to give Montreal a 4-3 lead and it looked like the lead would hold up when Hill retired the A’s in the seventh, fanning two in the process, and set down Simmons and “Black Mike” to start the eighth. But Hill left one out over the plate and Foxx poled it into the stands to tie the game at 4-4 before the Expos righty could get out of the inning. Montreal put together a mini-rally in the eighth when Lansing singled and Williams kicked a Wil Cordero grounder for an error, but Grove, who refused to come out of the game, struck out Berry to send the game into the ninth with the score still knotted at 4-4. After eight solid innings, Hill was relegated to the showers in favor of Jeff Shaw, who coaxed a grounder out of Dykes that went for out number one, surrendered a single to pinch hitter Lou Finney, then retired Grove on another sacrifice bunt. With a runner on second, two outs and some leash to play with Alou called for southpaw starter Kirk Reuter to face the lefthanded swinging Bishop, who had two hits in four trips to the plate and had taken righthander Mel Rojas out of the yard in the seventh inning of Game Three. This time, however, Bishop went down on an easy pop up and the Expos went to the bottom of the ninth looking for the run that would clinch their first World Series championship in franchise history. With the throng on its feet exhorting their heroes, Larry Walker drew a lead-off walk to begin the last frame. Moises Alou followed with a single that moved Walker to third and sent the crowd into a frenzy. With the winning run only 90 feet away, Grove buckled down and retired Lenny Webster and Rondell White, keeping Walker at third and bringing Lansing to the plate. Rather than go to an ineffective bullpen that had allowed six earned runs in 6 1/3 innings during the Series, Mack stayed with his ace. Grove didn’t have enough left in his tank, though; Lansing smacked a base hit that drove in Walker and sent the city of Montreal into pandemonium. All hail the 1994 Expos!